I am afraid All really does mean all. No matter how hard that graduate school is to get into or how high the tuition is, there really are deliberate plans laid out to shift graduate business, law, and other professional degrees to align with the planned shifts in K-12 and college, plus the economy and political structures, as we have been discussing. In fact, as I laid out in my book that came out last October, education at all levels is seen as the primary driver to change the future. Without tenure, a bias-inducing grant, or a political career on the line, everything I am reading and hearing the outlines for is likely to be malevolent in actual practice and reality, whatever anyone’s actual intentions. I had framed another trilogy to gradually lay out what is being attempted, how the new assessments fit in, why I won’t be able to ban the nauseating word ‘Soviet’ in 2014 either, and how all this manipulation gets masked. Now if you think that sometimes my posts can seem a bit hyperbolic, I always try to tone them down from the aspirations and declarations I am dealing with. But somehow I just could not come up with an easy way to tell everyone that the Russian word obuchenie was going to be the January 2014 first entry in the ISC Vocabulary Hall of Fame. It will be quite the revelatory post though. First I think we need a Prequel to remind us all once again just how transformative at every level imaginable the hoped for vision of the future really is. Plus all the influential people and institutions involved with this comprehensive effort that remains off most people’s radar screen. Thankfully the Eager For Fundamental Change folks at the Garrison Institute sent me this pdf as part of their aspirations for what needs to be taking place in 2014. http://www.garrisoninstitute.org/about-us/the-garrison-institute-blog/1858-hope-for-the-future-of-climate-change . Like the Schemers for Change at the UK’s RSA that we went into in December, Garrison simply intends to take physical climatic, assumed likely to be catastrophic, change as a given that will no longer be debated. Even more useful to getting at those personal behavioral and social ‘facets’ may be this “Proposed Revisions to the Common Rule for the Protection of Human Subjects in the Behavioral Sciences” just announced. http://www.nap.edu/catalog.php?record_id=18614 It looks to me like the feds want to amend the law to allow the education research that is already going on in places so it can be expanded as desired. No effective recourse once people start to notice. I guess there are truly to be no legal barriers to the planned transformation. If it seems like we are dealing with an entirely different view of the law than what used to go on in law school or civics class, it’s not your imagination. The law really is now seen as a useful tool to require normative change in individuals from the inside-out. “Make them do it so they will come to believe it” sounds just like the approach to education change Vicki Phillips and Michael Barber advocated for in the UK in their “Irreversible Change” paper. It is now coming to the US through education, legislation none of us asked for, and regulations we are not getting any chance to read. Italian Communist Antonio Gramsci wrote back in the 20s that the way to effectively go after the West was to March Through the Institutions and those quotes above are what that march looks like. It’s what the Common Core is a part of as we will see better in the upcoming trilogy. When the blurb heading on page 7 announces “Culture is the Change Agent” and advocates “Shifting Culture through Community,” Gramsci may not be mentioned by name, but his blueprint could hardly be more intact. One of the most revelatory series of posts in 2013 to me were the ones we did talking about Daniel Bell and his 60s and 70s vision of what he called the Post-Industrial Society. It appears to me that the 2013 Garrison Climate, Mind and Behavior Symposium is simply renaming Bell’s vision as the post-consumption society. So if we had not done all that tracking of all these now familiar aspirations with a variety of names and advocates throughout 2013, these might seem like fresh ideas. Just created as an answer to the troubles of the Great Recession. Instead it is new packaging and better PR sound bytes on an age old pursuit. Political power as usual wants to control economic power and the average person should simply do as they are told. With neither complaint or effective remedy. Now we are ready to start the Trilogy describing Tactics of Transformation designed to avoid detection. Going to wear out the T and D keys at this alliterative rate. To any Broader Cultural Transformation. At this point I tend to take an understanding of the work of Antonio Gramsci and the Frankfurt School for granted as a tool for analyzing sought changes through education or the media. But there was a time in my life just a few years ago when I would have wondered if the Frankfurt School had something to do with hot dogs or polishing a German accent or maybe be a fun place to hang out during Octoberfest. To help each of us grasp how an express intention for broad cultural transformation is not some vague conspiracy but a documented intention stretching back almost 100 years to target the West, let’s have a bit of a history lesson. Well, they have arrived in our local schools and district central offices and consulting firms. And they are frequently more credentialed than genuinely intellectual in the knowledge sense. And there is usually no express use of the M word or a hammer and sickle t-shirt to alert parents or taxpayers with the history of the theories and practices being pushed. So once again it is up to us parents and taxpayers to inform ourselves to protect our children, our wallets, and a civilization that does not need to be jettisoned and redesigned by a greedy or naive public sector. Although there is plenty of info available on the Internet once you know about the Frankfurt School and Gramsci, I am using in particular Chapter 2 of a 2008 book by Robert Chandler called Shadow World as my reference and the source for that Piedra quote. Quiet, stealth destruction of social institutions and existing social relationships from the inside out were the whole idea of the Frankfurt School. It really did start off in the 1920s as the Institute of Social Research, a part of the University of Frankfurt. Its purpose was to emulate the Marx-Lenin Institute in Moscow and develop the theories that could be used to gain broad social and political transformation of the West. And assaulting culture was the approach these theorists came up with. Since many of the theorists were Jewish, they moved to the US in the 30s to set up an exile base at Columbia University in New York and some of them never left. The doctrine ceased to be some type of “cataclysmic clash between workers and capitalists as the final act.” Instead, like the drip, drip, drip that over time can erode stone, Gramsci and the Frankfurters envisioned “a nonviolent, persistent, and ‘quiet’ transformation of American traditions, families, education, media, and support institutions.” Antonio Gramsci, a communist, was writing from prison in the 20s and 30s, after Benito locked him up. Gramsci grasped that the way to change the West was to go after “what is … [inner] and immediate to individuals and groups…in their daily lives.” Like school, family, and a Christian faith that guided daily behavior. So when we keep encountering social and emotional learning and the Whole Child Initiative of the Common Core and Positive School Climate or 21st Century Learning which is clearly going after the whole personality for tracking and change remember it is Gramsci who saw that inner self as the key to wholesale revolutionary change in the broader culture. In a footnote, Chandler quoted a 1995 speech by a John Vennari warning the Catholic bishops in Mexico City. I am going to quote it in full because the nerdy word “immanent” is precisely the realm being targeted in the 1962 book Perceiving Behaving Becoming: A New Focus for Education that we first encountered 2 posts ago. 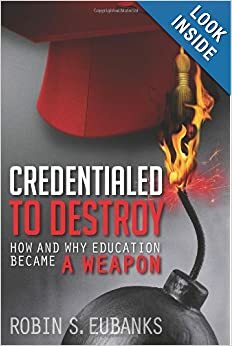 I have read it in full now and could testify in a court of law that it lays out the current actual planned implementation in education globally. It’s just masquerading in the US as the Common Core as an allusion to its real aim of transforming each student’s inner core. Here’s the reason why it just keeps coming. In other words, if you want students and the adults they will become to act to change society to get the sought justice and equality and a cooperative commonwealth and other utopian ideals we just keep running into attached to these ed reforms, you need something that accesses and monitors personal values, attitudes, beliefs, and feelings. And then collects all that as data. Gaming and adaptive software will do coming in as digital literacy and blended learning. So will contemplative education seeking to get at “hearts and minds” where the coaches alternate between SEL and New Age training depending on the day of the week and who is paying. That’s irrational imagination and creativity by the way. Grounded in feeling which is an aid and not a barrier to getting at behavior. 1962 was when the definition of learning officially changed. Now to be a means of making the “transition from autocratic to democratic relationships, there is no turning back.” And to get that transition learning becomes “a problem of the total personality” because “unless behavior has changed, one has not really learned.” Got that? To get to the desired political and social transition, behavior must change and government officials and their selected appointees and vendors get to figure out how. And they have called on the psychologists and sociologists and psychiatrists to come up with the techniques and theories to impose in the classroom. And we are going to spend several posts detailing precisely what has been and will be sought without anyone’s consent. In a country that held itself out as free. I will end this post with yet more insights from Maslow and Rogers that are influencing what is coming. And behavior and those drivers gets targeted stealthily under the euphemisms ‘outcomes’ or ‘performance standards’ or ‘objectives’ or ‘competencies’ or 21st Century Learning. Where most parents and taxpayers totally miss the behavioral focus or why it is being targeted. And it has been for decades. But the monitoring equipment has vastly improved in the 21st Century. Yikes! !